threadlike figures, often appearing as loops or rings, in red blood cells of patients with severe anemia. The inclusions are seen in Wright stain blood films. 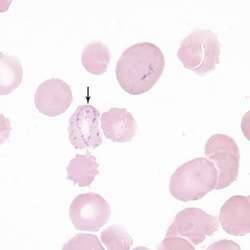 Also called Cabot bodies.